May 19, 2012 - Cessna Aircraft Company has selected Northrop Grumman Corporation navigation and global positioning systems for the new Citation Latitude business jet. 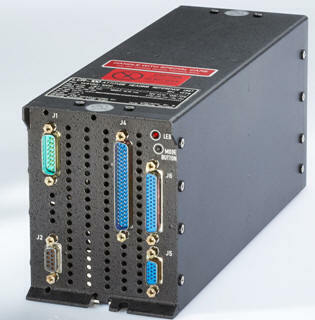 The LCR-100 and LCR-100N fiber-optic inertial navigation systems global positioning systems (INS/GPS) are developed by Northrop Grumman. Cessna Citation Latitude was announced at the annual NBAA convention in October, 2011. It was launched as a larger aircraft than the Cessna Citation XLS+ and cheaper than the Cessna Citation Sovereign. The aircraft will seat 9, and feature twin Pratt & Whitney Canada PW306D turbofan engines. Like other Citations, the Citation Latitude will feature a cruciform tail and all metal fuselage. Under the contract, Northrop Grumman will provide the fiber optic gyro compass LCR-100 Attitude and Heading Reference System and the LCR-100N Hybrid Navigator for the Citation Latitude aircraft. Cessna's certification of both products for the Citation Latitude offers customers greater flexibility and the choice between two form and fit compatible units. Under a separate multiyear contract, Northrop Grumman began test program deliveries of the LCR-100N for Cessna's Citation Ten jet in the second half of 2011. A successful first flight of the Citation Ten with the LCR-100N occurred in January 2012. Production deliveries will commence this year. The LCR-100 and LCR-100N are part of the company's inertial Hybrid Navigators product line, which includes the forthcoming LCR-110.